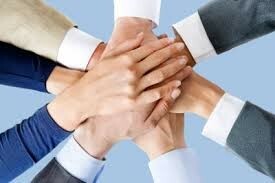 It takes a team to acquire a business. The professionals that surround you provide significant support toward achieving your success. Selecting the right mix of professional advisors is important. Unlike the situational specialists who can help you understand a specific industry or provide you support doing your search, the lawyers and the accountants that you choose may be with you as long as you own the business. A lawyer is not critical in the early stages of your search. There are name registration clearinghouses and templates for NDAs LOIs, and LLC documentation. Copying shamelessly reduces expenses and reduces legal fees. Any mistakes you make can be cleaned up later. Choosing a lawyer who is local to where you are searching from will allow for in-person meetings, which may prove valuable during sensitive deal negotiations. On-the-spot, in-person meetings are much more effective than teleconference or Skype meetings. The cost is the same regardless of proximity and regardless of whether your meetings are in person or virtual. However, for a funded search, your investors may have more confidence in your selected attorney if they have had prior experience with other searchers. The process of selecting an attorney can begin with asking brokers for the recommendations for good buy-side attorneys in your locality. Plan on interviewing at least three firms to establish a basis for comparison. Prior M&A experience, including negotiating with opposing lawyers, dealing with challenging business owners, and navigating the minutia of purchase and sale agreements, is incredibly important. Be sure to ask for and check references. Look for recommendations from their clients with your level of experience. In addition to quoting their standard billing rates, they should be able to give you an estimate for a typical closing transaction. Evaluate their relevant experience. You don’t want a recent graduate from a prominent law school to use you as a test case. It would be far better to find a small-to-medium-sized law firm with a good track record and dozens of M&A transactions already completed. It can be advantageous to find a young, pre-partner attorney who can rely on the experienced partners at the firm for advice. This will both keep the fees down and establish a strong relationship for the coming years. Many searchers have been successful in convincing their law firm to hold back invoices through several failed LOI’s until the final transaction. For lawyers who are familiar with search, this is not a foreign concept. There is no need to use equity as payment: lawyers are interested in cash but can afford to wait. Initially reviewing three attorneys will allow you some negotiating room on fees. Ari Medoff, who purchased Nurse Care of North Carolina, held down his legal fees during his unfunded search by holding his lawyer to a “not to exceed” value. For many searchers, discussions with the lawyer may feel intimidating, not unlike a conversation with a physician. However, it is important to keep in mind that the attorney is working for you, and your goal is to close on a single business without being sidetracked by immaterial concerns. You will want to work with your counsel in advance to strategize around points of contention. Be mindful that your law firm may not have the specific industry expertise. A firm that has all of these specialties will be expensive to work with. Labor, environmental and tax law are examples of this. Don’t hesitate to reach out for supplemental guidance. This is where your contact list can be useful. Oftentimes you can solicit free advice from a law firm by simply asking for their opinion on a particular issue you’re facing in which they may have unique competency. Many start-up incubators have legal EiR office hours you may take advantage of. Unlike your attorney, the accountant should be near your seller. Interview at least three accountants, whom you may source from the seller, his or her accountant or other local-to-them advisors. If located near a large city, many larger accounting firms may take these assignments on for low fees and deferred billing until closing. Waiting to engage the accountant in items like GAAP accounting, industry knowledge about write-off until later in the due diligence process will keep cost down in the event of a “busted” deal, so it is important to work out other diligence details first. You may have to utilize more than one accountant to handle sequential LOI’s. It will be more difficult to manage them through too many multiple “busted” deals, so keep their engagement limited. While you may gain comfort from having an accountant review the financial statements you are initially presented with, searchers should develop the financial background to sort through tax or financial statements provided by the sellers. Save the expensive accounting reviews and diligence until just before closing. Some financial institutions may require a quality of earnings review. In many instances the QofE report may have to come from a firm with experience in the industry or field that has prior credibility with the lender. Avoid relying on your M&A attorney for advice beyond his or her realm of expertise. Finding local expertise for such items as HR support, environmental compliance, and personal tax advice may require finding a local expert. Again it is important to consider using resources nearby the seller’s business who understand local practices, laws and considerations. It is very normal in the software and services businesses to retain an expert to evaluate intellectual property. Finding credible but inexpensive sources for these requirements is important to reduce deal costs. Finding someone with deep industry knowledge may requiring some calling around. Despite your thorough background checks and selection process, be mindful of the fact that you will make mistakes. Recognize when the advice that you’re getting is either not useful, antagonistic to the seller or comes across the wrong way. Take steps to move quickly to switch your professional advisors to match your own personal needs. These relationships will last a long time and should be supportive as you move forward. Finally, don’t hesitate to ask for fee reductions from all of these professionals. They fully understand the long-term benefit of a relationship with you and will be intrigued by your unfamiliar model or target industry. They understand the cash flow requirements of a new enterprise and should accommodate you, even if this means negotiating the bill that they present to you just after closing; it’s just part of being an entrepreneur. Your business advisers may come and go, but the legal and accountancy professionals you choose during acquisition will be with you for a long time. Do your homework, run a thoughtful process, and, choose wisely. Be cautious of using friends of friends as your professional support team. You may have to make difficult choices with them and you don’t want to ruin your own friendship! Feel free to share some of your own best practices or experiences in dealing with these issues in the blog comments. I encourage comments from readers and dialog about the topics, allowing others to see the commentary and learn both from my views and the views of others – a virtuous learning cycle. Jump right in! Great post Jim! I place a lot of value on experience, but to be more specific that experience needs to be on small M&A deals (so you aren’t getting an obscenely expensive lawyer), with searchers, and/or the industry (brokers that specialize in the industry you are acquiring in are a great resource). The biggest range I had of estimates on one deal was $50,000 to $300,000. The low quote was from a two-man shop who had split off from a larger law firm claiming to be fed up with the corporate BS. That’s a theme I’ve come across a few times. On the topic of deferred fees, I know some people have found lawyers that would work on contingency as well – no deal, no fees, ever. The sales pitch of most lawyers I’ve interviewed (and not liked) has been to make me feel insecure and worried about not screwing up my one big deal, referring to $100m deals for Goldman Sachs they’ve worked on, and walking through all the downside scenarios. Be wary of this fear tactic. Adam, yes, fees can vary widely and shopping around makes good sense on both terms and costs. Be cautious of those “downside” legal reasoning that could result in a busted deal! Another great post… and Adam Barker does raise a few good points. I wonder if you’ve considered including a section on recommended small law and accounting partners that are familiar with Search, and Searchers’ needs for low upfront fees, with the potential for long-lasting relationships upon closing. I’d certainly be interested in knowing which ones folks could recommend in Massachusetts. Musa, it would be challenging to identify specific law firms. However, I strongly suggest you reach out to the searchers who are in Massachusetts for specific advice and recommendations. You will find that the “searcher network” is very willing to share and support each other with these types of inquiries. 05-For better or worse, but not for search! For many spouses or significant others the search process is filled with uncertainty about where you will live, your emotional mood swings, failure and rejection. Be sure they know what you are getting into!